As many of you already know, I have been having some car problems lately. And with Ryan giving his car away, I felt it was time to find a new and improved car. This has been a lot of work. First of all because I work and the nature of my work is that I am not home every afternoon, this has made looking at cars a real burden. I don't have that many days off anymore and to have to spend my precious days off driving all over Seattle looking at used cars was not fun. I did some research and I decided that I wanted a Subaru Wagon. This narrowed the playing field. I went to all the Subaru dealers in the Seattle area looking at their used cars, this took two days. They were all too expensive. Only 2-5 years old and very very nice cars. I wish I could have afforded one. But not with my current budget. So I started with internet resources. Craigslist, Ebay and Autotrader.com. Here were tons of cars within my budget, but now to see them in person with all their flaws. 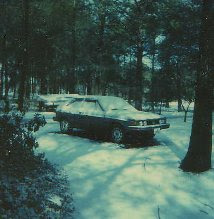 Several times I would drive out to look at a car and find that it had already been sold. So many of the cars had outlandish mileage on them! What are these people doing?? Driving to Alaska twice a year? With a cross-country trip thrown in! Wow, I had no idea that Soccer Moms could put so much mileage on a car. I found one car that I was positive would work for me, the only thing wrong with it was it was white. I hate white cars. I was ready to forget my hatred of white paint and went to give the car a test drive. I walk up and the hood and rear hatch are open, so that I can see how gorgeous the car is inside! It looks lovely. Everything is in such great condition. I think I am ready to drive it. The owner is closing the hood and I close the rear hatch and that is when I see it. A HUGE dent in the rear hatch of the car, with cracks in the plastic of the light covers. Yuck. You know, I don't even want to drive it now. 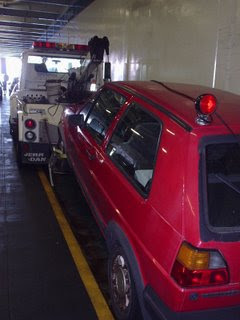 I don' t want to have to make that repair, possibly having to replace the entire rear hatch. Who knows. Sorry. There were other cars that were gorgeous inside and outside but one smelled so badly of cigarettes that I could not stand to sit in it. There was another car that I looked at at a dealership. It had dog and/or cat hair all over the inside. I have to think that the dealer detailed the car. That hair was woven into the carpet and upholstery. It was impossible to get out. I tried to pull a piece out myself. 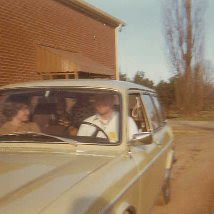 It would have taken hours and hours to sit and pick out all the animal hair from the rear compartment walls. What a nightmare. In another car, the dog (or whatever, could've been a child) had chewed the plastic sides of the car in the rear compartment-- any kind of handle or plastic edging looked like it had been gnawed on by rats. Amazing! Some of these things could be overlooked, but often there was more wrong with the car than right. It was a huge decision to even look at Subarus. 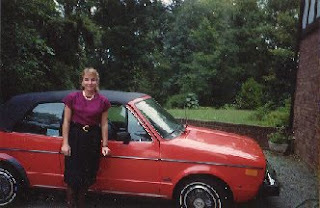 I have always been a Volkswagen girl. 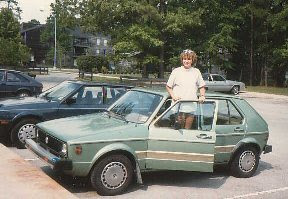 I learned to drive on Volkswagens and I have driven Volkswagens all my life. 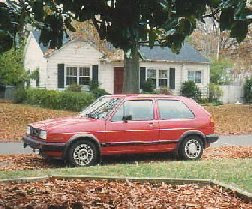 I had a Sirocco in High School and a Rabbit in College, a convertible Rabbit when I first started working and when I bought my first car all by myself, it was a Golf/GTI. 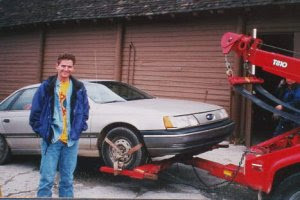 That car has been with me for the past 18 years. 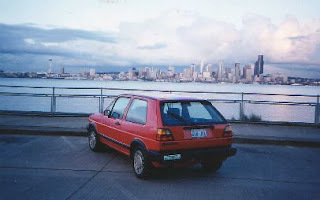 I drove it when I lived in Florida and I drove it across country when I moved to Seattle. I really hate to give it up. It is a member of the family. There are so many memories contained in that car. So many good times. But then there are the bad times, the overheating, the flat tires, the broken clutch cables and the thousands of dollars spent on repairs. Time for a change. So I finally found a 2000 Outback Wagon. Low mileage, no crazy damage inside or out. A nice Green color. The only thing a little hinky was that it has tinted windows. Not a big fan of tinted windows, but I am willing to overlook that. I am buying this car. I drive it around a little bit. Everything is cool. I am buying this car. I can't believe it. I have bought this car. I have to change my car insurance. I need to sell my VW. I take all the stuff out of the VW. My sunglasses and my maps and my CD's and I put them in the Subaru. Oh my gosh, I have bought a car! So I drive it around on errands today. It is HUGE. I can't get used to how big it is, it is certainly going to make me a more cautious driver for a while. I have so much car behind me now. People who have ridden with me know that I could take off a curb with the back of the little VW. Now I really have to swing out wide to get this behemoth into the street! It will take some getting used to, but I have a new car. Wow.